with a sales methodology that works the way you work. You killed it in your corporate career, then went off on your own. Which was awesome... until it came to getting new clients. Doing the work isn’t a problem. You know you're good. But getting new consulting clients… that's unfamiliar territory. Sure, clients have come your way. But you don’t just want the low-hanging fruit. You want the clients who value your work. Who pay bigger numbers. And who will build your business. You want to get proactive about business development, but you’re not sure how to do it. and I'm a sales coach for women entrepreneurs. But I've never been a salesperson. I’m a business owner who learned how to land new clients by running my consulting businesses. That means I know it's 1000x harder to sell your own stuff than it is to sell someone else's. And I know that automated funnels and sales scripts don't work for the B2B clients you work with. That’s exactly why my sales methodology works for entrepreneurs. And run the business you envisioned when you left corporate. You probably never had to do it in your corporate career, and you've never been taught to do it in a way that plays to your strengths, establishes you as the expert you are, and doesn't feel like selling. If this sounds like you, then I can teach you how to sign the clients you want in your business in 10 weeks or less. No salesy tricks. Just strategies that work, build great client relationships, and let you be yourself. "In the last year, we were able to grow our corporate clients by 82%. That was wild for me particularly. About two months after I started SIGNED, I had my best sales month ever in August. We were just killing it. I was blown away." 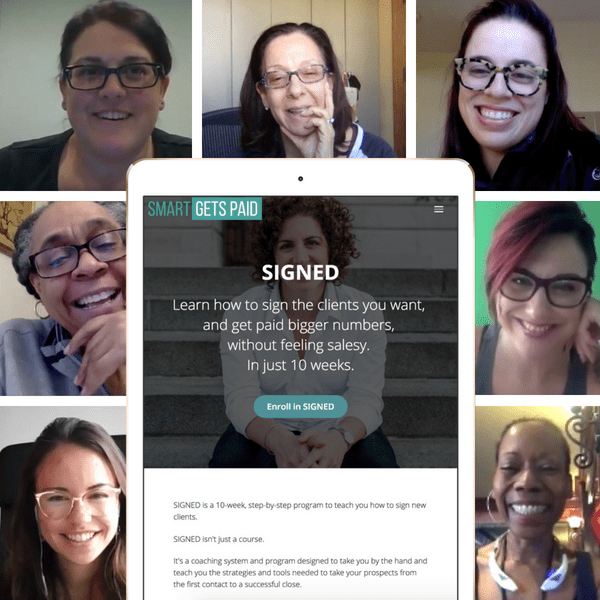 SIGNED is a guided sales coaching program designed to teach you the exact strategies needed to land new consulting clients, from the first contact to a successful close. 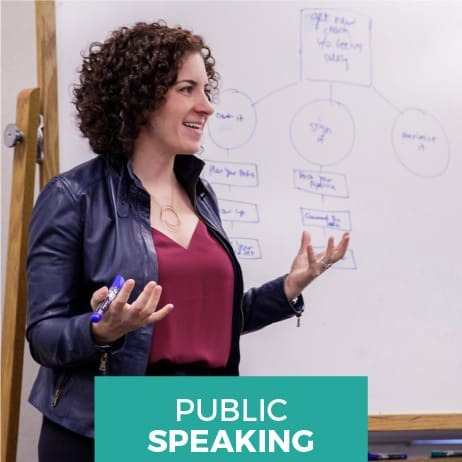 Learn how to build your sales pipeline, charge and get paid more for your work, increase your win rate, and grow your confidence. You’re ready to step up your game, and you need one-on-one support to get there. 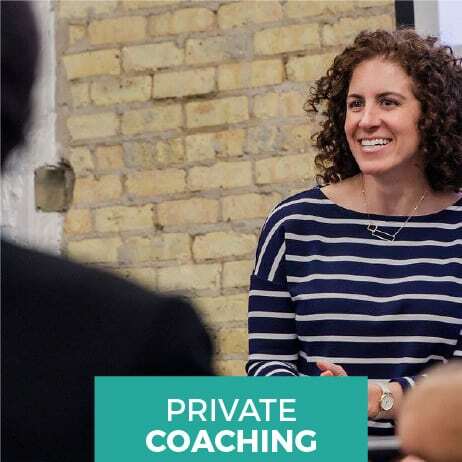 Limited spots for private coaching are available. Learn more. Give your audience an experience that will change their business forever. Leah is available for interviews, speaking, or private workshops. Learn more. 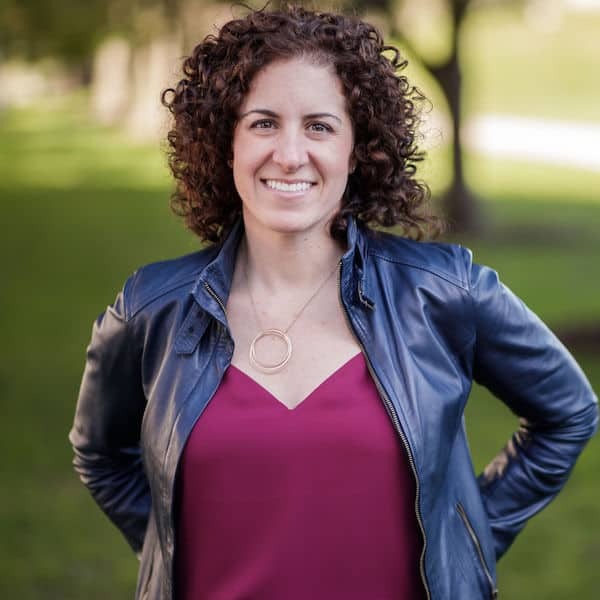 We couldn't have done it without her deep understanding of the sales process, her help thinking through how to move opportunities forward, and her ability to mold the CRM so we can use it as engine to grow our business."